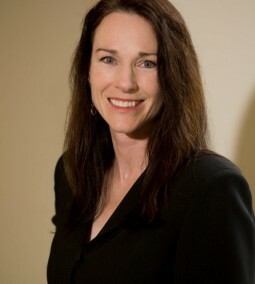 Lisa began her family law practice in Issaquah, WA after having been admitted to the Washington State Bar in 1994. Her legal practice focused on dissolution, legal separation, establishment of parenting plans and child support, and domestic violence litigation. Wanting to help children in a more direct manner, she began volunteering as a family law Court Appointed Special Advocate (CASA) and expanded her private practice to include acting on behalf of children as a court-appointed guardian ad litem. 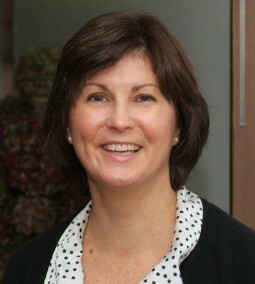 Lisa became trained as a mediator and collaborative professional in 2006. Throughout her career, she has welcomed the opportunity to help families deal with their conflicts in a respectful, positive manner. She joined the Compass collaborative group at its inception and enjoys working with its members. 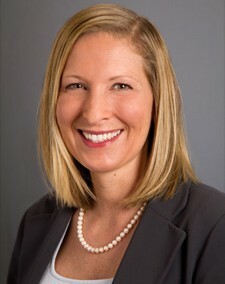 Christina Corwin is a member at Reed, Longyear, Malnati & Ahrens, PLLC, handling family law matters ranging from collaborative law to client centered dispute resolution. She also provides consultation to clients who wish to represent themselves. Christina assists her clients in choosing a legal process that best meets their needs, whether it is a collaborative, cooperative, fast-track divorce, or other legal process. She has experience working within a wide range of family law matters including divorce and legal separation, child and spousal support, child custody, paternity, domestic violence, adoption, post and prenuptial agreements, domestic partnership contracts, and divorce mediation. Christina also serves as a guardian ad litem in Title 26 (family law) and Title 11 (guardianship) matters. Prior to becoming a member of the Washington State Bar in 2000, Christina taught elementary and middle school students in King County. I have practiced family law since 2001 when I joined a family law firm in Bethesda, MD and was exposed to the ideals of Collaborative Law. I believe that Collaborative Law practice provides divorcing couples with a better alternative for shaping the future of their family and their children. The practice of Collaborative Law provides a team of people dedicated to helping the clients explore and reach long term solutions for themselves and their children. The Collaborative process can be complex, difficult and, at the same time, rewarding. I find that the Collaborative Law process provides my clients the freedom and the power to create their own durable agreements instead of having decisions affecting their children and their financial future imposed upon them by the court system. I grew up in Alaska and went to college at the Pennsylvania State University, graduating in 1989. In 1995 I received my JD from Seattle University School of Law. I practiced in Maryland for seven years; however, I am inactive with that Bar and no longer practice MD law. Since early 2009 I have lived in Seattle and practiced family law. While attending Rutgers law school, I had the opportunity to volunteer with a divorce clinic and to assist victims in a Philadelphia domestic violence clinic. These experiences allowed me to see a broad range of family law issues and to discover my passion for assisting people through these hard times. After practicing in New Jersey and Pennsylvania, I moved to Seattle in 1994 and have focused my practice on family law since then. I volunteered with the KCBA Domestic Violence legal clinic for many years and have been involved with King County Collaborative Law; previously as a Board member, and currently as a member of the Family Law Section, Compass Collaborative and Downtown Collaborative practice groups. My family law practice includes Collaborative Law cases, and litigation cases – most of which are resolved amicably through mediation. I find that clients who engage in Collaborative Law and/or cooperate to resolve their issues amicably, are better able to work together and co-parent effectively than those who litigate and receive a parenting plan handed down to them from a judge after months of conflict and warfare. I am proud to offer this approach to resolving relationship conflicts as part of my practice. Dru S. Horenstein practices law throughout Washington preparing domestic relations orders that facilitate the division of retirement assets in family law. Admitted to the Washington Bar in 1992, she is a contributing editor and author for the three volume West Publishing Co. publication on Family and Community Property Law. She has authored and taught continuing legal education courses on the division of retirement assets in family law for over 22 years, including four presentations at the WSBA Family Law Mid-Year meetings. She is the only Washington State attorney member of the nationally recognized QDRONES: a professional organization of pension and qdro attorney specialists focused on the education of attorneys, government agencies, on the division of retirement assets. Jamie Polito Johnston is an experienced litigator and compassionate advocate. 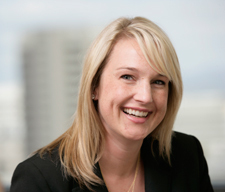 She is dedicated to providing high quality legal services while achieving the best possible outcome for her clients. Jamie’s practice concentrates primarily on family law litigation including complex property division, asset valuation, high-conflict custody and parenting disputes, relocations, child support, spousal maintenance, prenuptial agreements and post-dissolution matters. Jamie has extensive experience in the courtroom and in family law mediations and arbitrations. I provide divorce mediation services and collaborative divorce representation focused on helping husbands, wives, and parents move on with their lives while preserving dignity, respect, and key relationships. I also mediate prenuptial agreements as well as family business and property transitions. Finally, I provide legal coaching and unbundled legal services to parties in non-contested divorces. 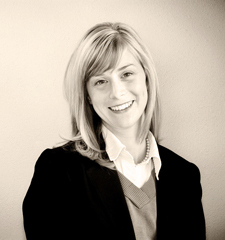 Adrienne Keith is a Seattle-based family law attorney who helps couples and families reach common ground. Drawing on her experience as a collaborative lawyer, and on her experience as a mediator, Adrienne guides clients in meeting the demands of the legal process and addressing their interests. Adrienne’s goal is to educate clients so that they can make wise choices for their unique situation. 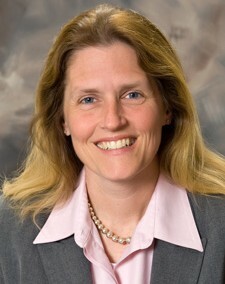 Adrienne Keith graduated with honors from the University of Wisconsin-Madison, and attended the University of Wisconsin Law School, where she served as an Editor-in-Chief for the Wisconsin Women’s Law Journal. 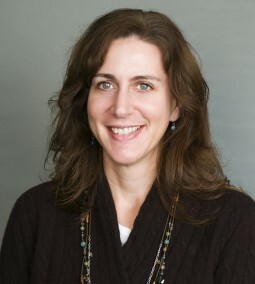 Since relocating to Seattle in 2003, Adrienne has been active in bar and community groups, including the WSBA ADR (Alternative Dispute Resolution) Section, King County Collaborative Law, and the Bellevue Neighborhood Mediation Program. 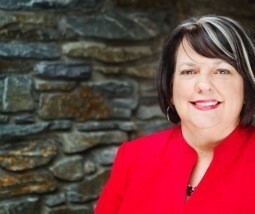 She is a past chair of the King County Bar Association’s Alternative Dispute Resolution section. James’ practice focuses exclusively on family law litigation and mediation, although he has represented parties in a wide variety of commercial litigation matters throughout his legal career. 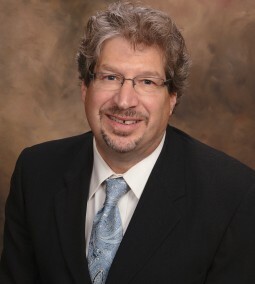 He is an experienced litigator, having tried cases in both State and Federal Court. James assists clients with complex marital dissolutions, including those of high net worth individuals, often involving business valuations and estate issues. 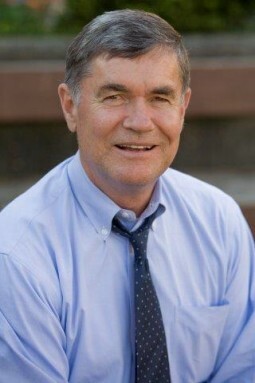 James favors a team approach, which is client-centered and cost-effective. James is an experienced family law mediator and assists parties through mediation and arbitration to resolve their disputes. James is also trained and experienced in Collaborative Law. After one particularly harsh trial that left both the husband and wife emotionally and financially devastated, I came to a turning point in my career. I saw Collaborative law as an opportunity to compassionately and constructively help divorcing couples. The Collaborative approach means you have a dedicated team of professionals who care about you and are driven to help you through this difficult process. As the legal member of that team, I provide the practical knowledge and experience to get help you and your spouse reach resolution. I am inspired to see the positive impact my collaborative work has on people’s lives. Almost without fail, when I reconnect with clients years after a divorce, they are happier and healthier than before. I graduated from Seattle University Law school and was admitted to the bar in 1998. I am a member of the King County Bar Association Family Law Section, a member of IACP and KCCL. Kevin is a graduate of Hampshire College (1983) in Amherst, Massachusetts and of the University of Washington School of Law (1986). Since 1995 he has been working as an attorney and mediator in Seattle, Washington with an emphasis on family law and estate planning. Starting his Collaborative Practice work in 2007, Kevin has been developing and refining his skills within the collaborative model as a Mediator and Collaborative Attorney. Kevin’s compassion and commitment in all areas of his life, whether it be as a father, a gardener, an athlete, or as part of a collaborative team, serves as an inspiration and brings out the best in others for the benefit of his clients. Kevin is a frequent contributor to the World of Collaborative Practice [http://theworldofcollaborativepractice.com/] and is a Featured Blogger at Be-Fulfilled.org [http://www.be-fulfilled.org/]. Collaborative law is a natural segue in my career of dispute resolution. Cases I’ve handled over the past 30 years have included general civil litigation, personal injury claims, some products liability cases and estate work. In the last 20 years I have specialized in all types of family law cases. I handle full representation, unbundled legal work, mediation and collaborative cases. Experience in mediation and arbitration naturally led to my interest in collaborative law and interactive participation in the healing process of resolution. I enjoy working hands-on with people to help them find their voice and solve problems in a productive way. I have volunteered at neighborhood legal clinics, presented information at the King County Courthouse about how to complete a divorce and assisted at the Status Conference Calendar. I mediated with social workers at Family Court Services in a one-year program. I have been a volunteer mediator in family law cases for many years. I received two Random Acts of Kindness awards through the King County Superior Court. Most recently, I have assisted in establishing and volunteering at a Second Saturday Divorce Workshop at Highline Community College, in which three professionals educate participants about the divorce process. Copyright © 2019 Compass Collaborative. All Rights Reserved.